Moreira Law Officeis a full-service, Greater Boston Law Firm, serving clients throughout the United States. With a strong bias towards action, Moreira Law Office handles all types of cases, including Real Estate, Corporate, Criminal, and Litigation (lawsuits). We also work pro bono for the handicapped. Attorney Moreira’s cases have been featured by WCVB-TV (Channel 5), BATV (Channel 8), The Boston Globe, The Lowell Sun, and other Boston media. He’s represented corporations including John Hancock Financial Services, Inc.™, PPS™, Excel Glass™, and Clear Financial Services, Inc.; professional athletes including “Lightning” Edwin Santana™ (WBO™ Boxing); real estate developers, plaintiffs, defendants, and insurance companies; and dozens of banks such as Countrywide, Boston Federal, WMC, and Heartland. Prior to starting the Firm, Greg was a business attorney with Taylor, Ganson & Perrin, LLP (Boston), and trained in litigation and real estate law with Broadhurst, Lakin & Lakin (Andover). 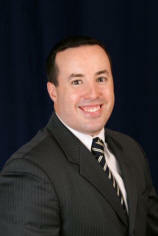 He is licensed to Practice Law and also to Broker and Sell Real Estate in Massachusetts, is a Member of the Mass. 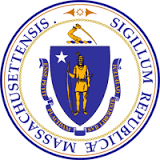 Bar Association, a New Hampshire Commissioner of Deeds, and a Registered Title Agent for Fidelity National.